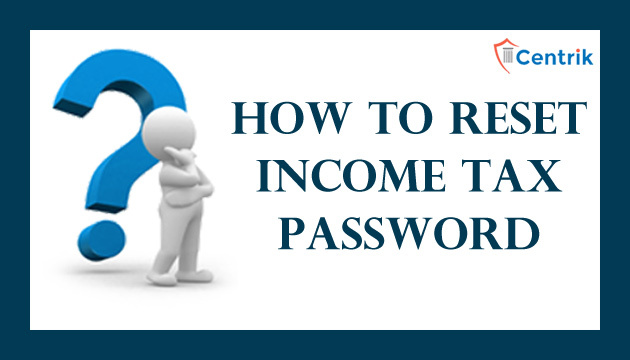 As we all know that to login on Income tax account, we have to first register on Income tax website and have to set our login password, but sometimes there might be the situation when we forget our password and won’t be able to recover that. Without password, we wouldn’t be able to get login on the Income-tax account. Here we will discuss the options for recovery of Income-tax password. It is crucial to keep in thought here that the website of the Income Tax Department does not provide any password recovery options (to recover the old password). However, in case you have forgotten your password, you can without much of stress, can create a new one either through the website or by sending an official email to the department itself. Login to the website and select the option for “forgot password”. Enter your PAN details and submit with “Captcha Code”. Department provides three ways of doing so. (i) Answer the secret question’ that you have mentioned earlier at the time of creating Income tax login. (ii) Upload your digital signature certificate. (iii) Enter your bank account number (the one that you preserved during tax return filing). You may have to visit personally in the concerned ward of Income tax department if you didn’t get any response over email.